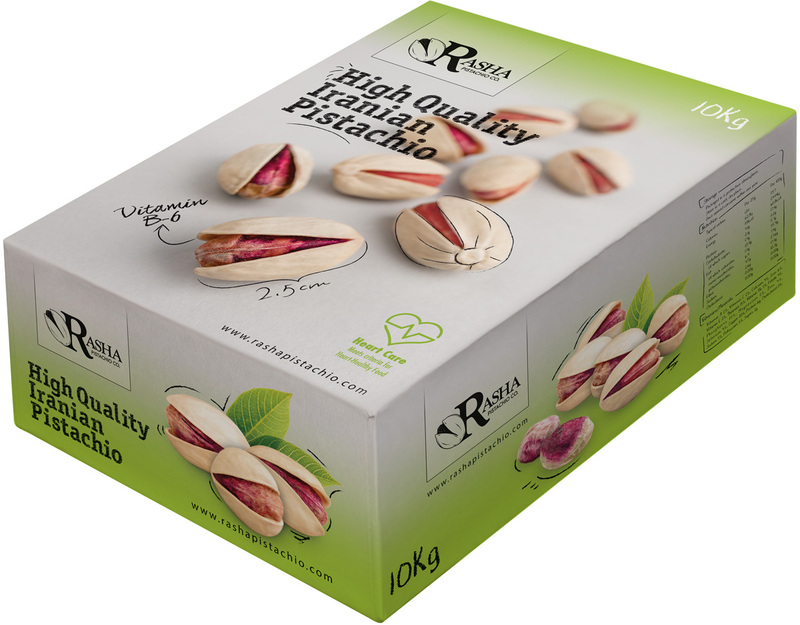 Packaging - Rasha Pistachio Co.
Why product packaging is influential? Product Packaging is influential as it shows to buyers and consumers why your product and brand are distinctive. According to Mlhorta in 2008, one of the main defects that Iranian pistachio exporters need to improve is defective packaging system. Many believe that the product itself and performance is more important than packaging but the fact is Packaging plays a remarkable role in failure or success of sales and marketing around the world. The main purpose of product packaging is to protect the product inside the packaging from any sort of damages. 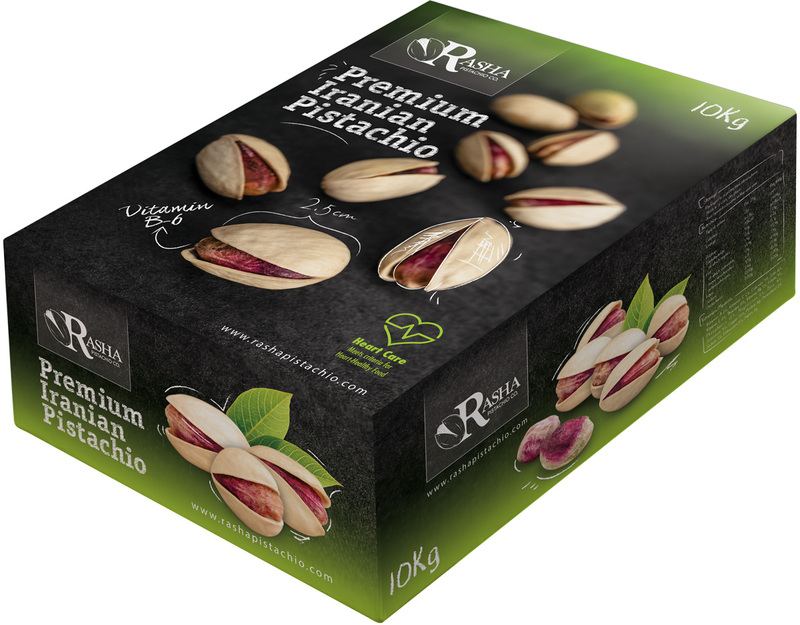 Solid and durable packaging not only protects the pistachios and pistachio kernels during transit from our factory to the retailers, but it also avoids any damages while the pistachio and pistachios kernels sit on retail shelves. 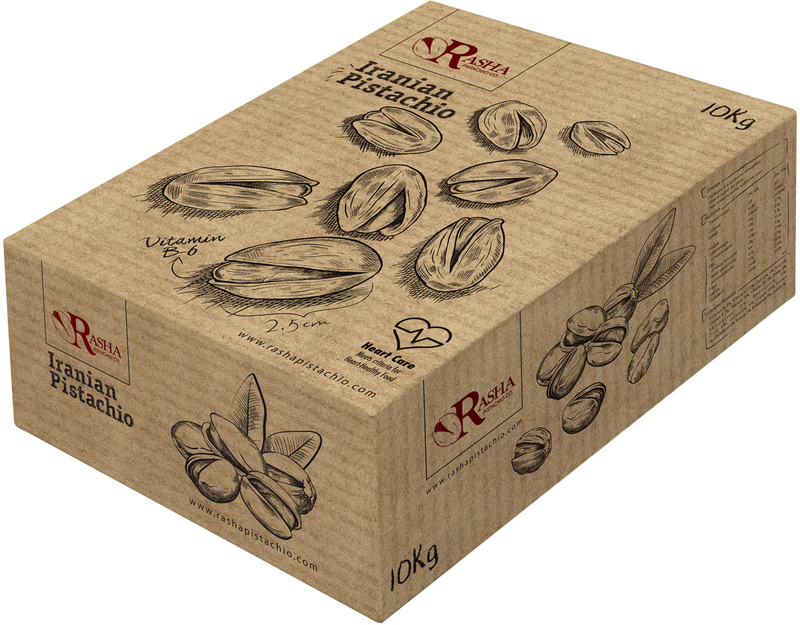 As Rasha Pistachio Company works as a wholesaler our packaging can be used for both re-packers ad retailers. 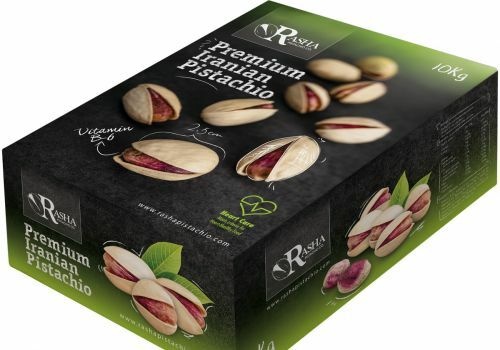 Rasha Pistachio Company has designed two types of Cartons for pistachio kernels, black, is used for superior pistachio kernels and white for high quality pistachio kernels. As pistachio kernels are very vulnerable and can get broken by lifting and moving them hence solid packaging is vital to protect pistachio kernels from any damages. 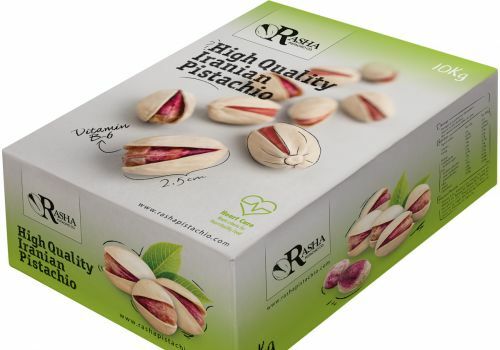 Iranian pistachios in shell are less vulnerable compared to pistachio kernels, as the outer shell already protects the pistachio kernels and can not get broken easily, hence the packaging for Iranian pistachio in shell can be both in cartons as well as bags/bulks and bags are more reasonable in price than cartons. 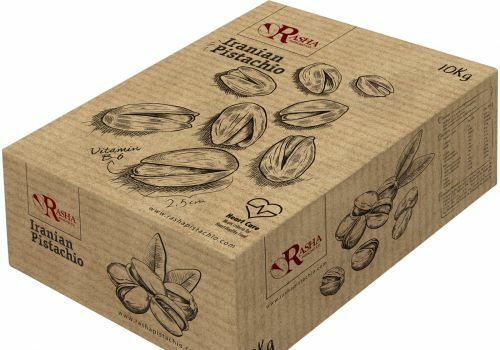 Yet, some buyers rather to receive pistachio in shell in carton, as they are used to this type of packaging or they may not use labors to unload the containers and they use lift truck for unloading, hence they need cartons with pallet. Therefore, we respect all purchasing behaviors and we have created different packaging for different buyers with different requirements. We did multiple researches and analysis about the design of packaging and many factors were examined such as, Customers beliefs and religions, purchasing behaviors, meaning of colors in different countries etc. As result, our packaging design granted as the best packaging of the year in Iran in 2015-2016.